Anthony's Wine Blog | Blog | Arte e Vino Fino! WineLog » Blogs » Anthony's Wine Blog » Arte e Vino Fino! 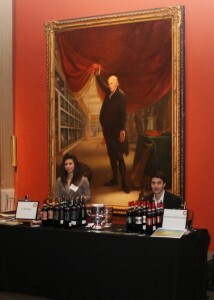 What do a bottle of wine & an oil painting have in common? The winemaker uses a palette of grapes for his or her canvas, while the painter uses tubes of color. Both rise to the level of Fine Art when done right. 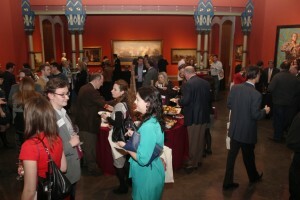 These two worlds joined forces at the Pennsylvania Academy of the Fine Arts, established in 1805. It is the oldest art museum and school in the nation. 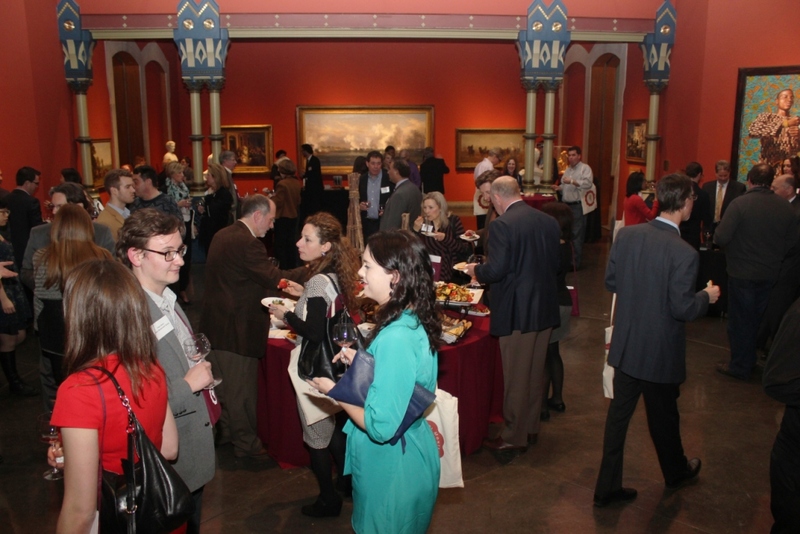 PAFA’s world class educational program and impressive collection of American art partnered with the Consorzio Del Vino Nobile Di Montepulciano, whose mandate is to protect & promote the DOCG wines from that region in Tuscany. 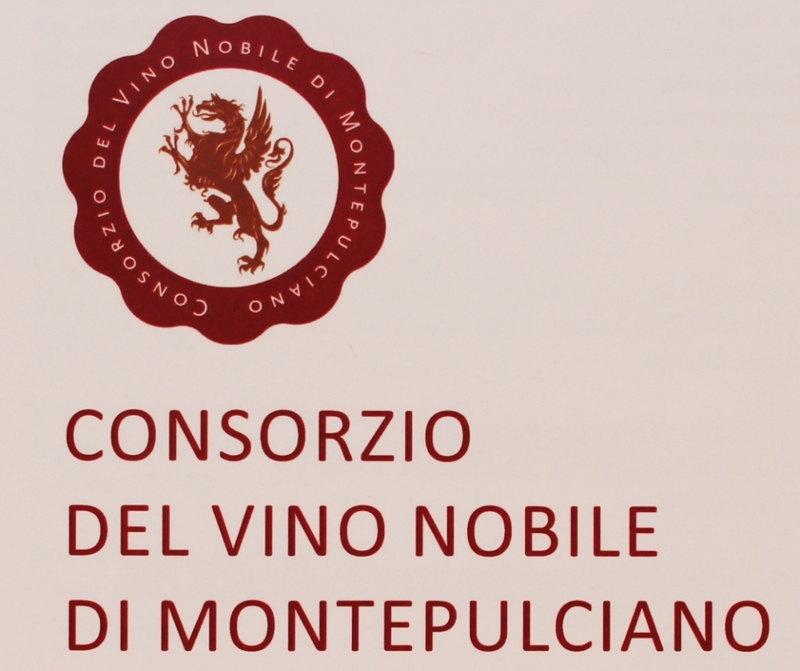 In 1530 the cellarman for Pope Paul III describes Montepulciano wines as “Vino Perfectissimo”. Situated next to Chianti & Brunello, Vino Nobile has the structure & elegance to make some of the best Sangiovese based wines in the world. 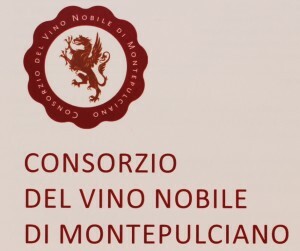 Vino Nobile di Montepulciano is made from a specific clone of Sangiovese called Prugnolo Gentile, with small amounts of indigenous varieties allowed in the blend. The wine must be aged for 24 months, with a minimum of 12 in barrel; the Riserva has 36 months of aging, while the Rosso just 6 months. 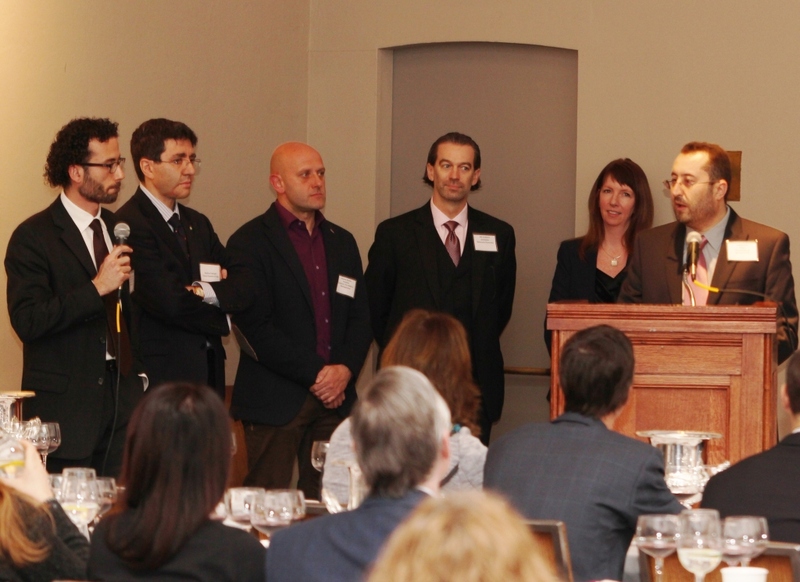 This was the first time the Consorzio traveled to Philadelphia, which included its president, Andrea Natalini, who is also the owner of Podere Le Berne, Andrea Rossi, Mayor of Montepulciano, & Thomas Francioni, event manage & one of the main speakers of the evening. Also onstage was Andrea Canepari, the Philadelphia Consul General of Italy. 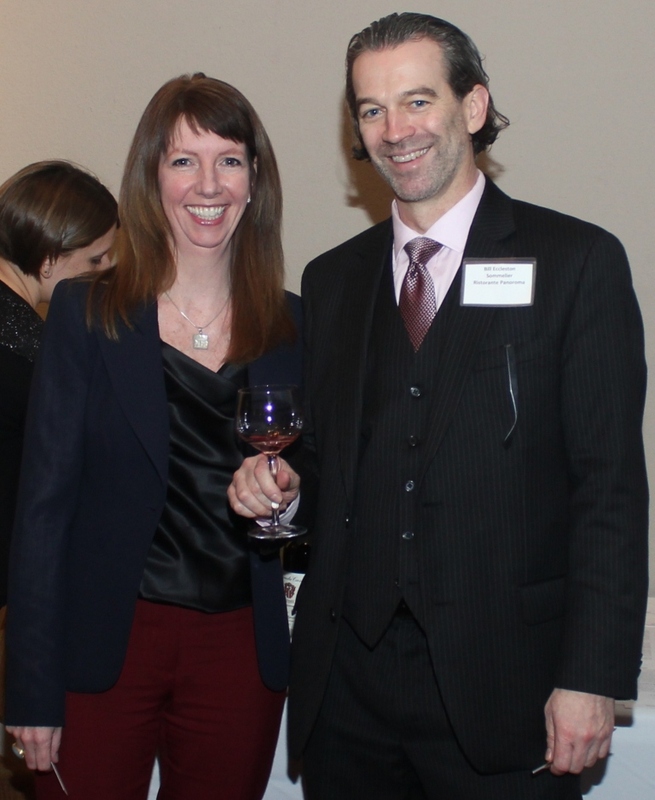 Shawn Dore, Sommelier & national director of education for the Charmer Sunbelt Group was the keynote speaker & emcee for the evening. After introductory speeches by the Consorzio members, Shawn gave a brief historical account of Montepulciano’s geography, architecture, culture & of course winemaking. Joining Shawn was fellow Sommelier Bill Eccleston, General Manager of Panorama Ristorante & IL Bar , which has a 120 bottle Winekeeper, the largest in the USA. 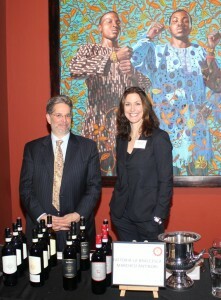 He is also the co-founder of Philly Wine Week. 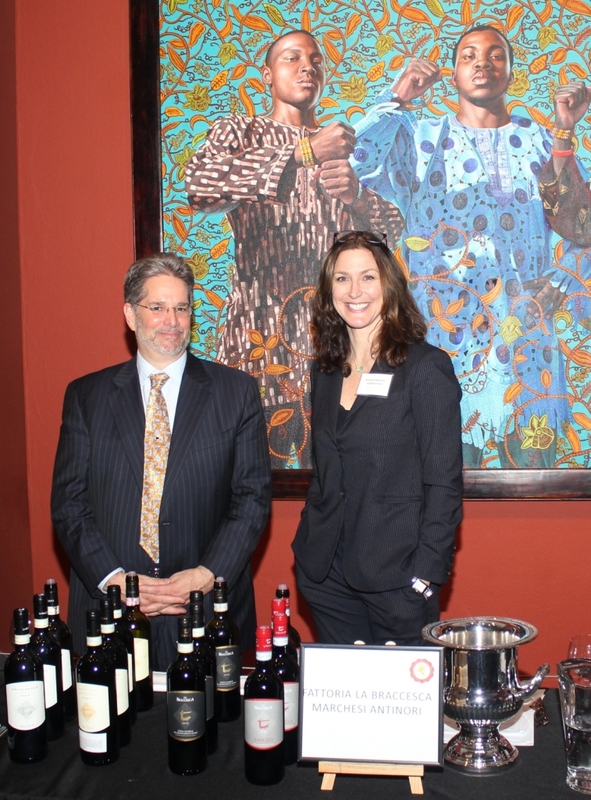 The duo gave Delaware Valley wine professionals a tutored tasting of four Vino Nobile di Montepulciano wines. Three were from the 2007 vintage, presenting a balance of what Nobile offers in both youth & age. Signature flavors of cherry, plum, tobacco, leather & vanilla, while the lone 1997 shows the ample ageability & rewards of an older vintage, revealing supple tannins, earth & dried fruit. Ascending the stunning grand staircase of the historic Furness/Hewitt building with its beautiful gothic arches, & brilliant blue, silver star studded ceiling, one then enters the gallery level & the current Albert M Greenfield Art resource project. 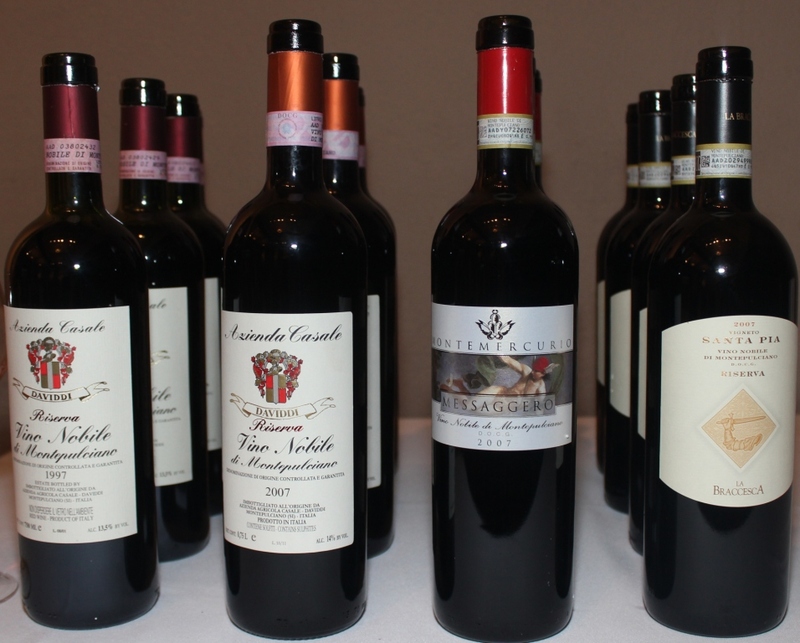 Here for our tasting pleasure were a selection of 30 plus wines from eight member producers, including Vino Nobile di Montepulciano, Nobile Reserva, its younger vine cousin Rosso di Montepulciano, Vin Santo, Italy’s most well known dessert wine & estate olive oils. No wine tasting would be worth its sea salt without food and the Starr Restaurants Group provided a decadent antipasti of Italian delicacies. Le Berne Rosso di Montepulciano 2012 $21 100% Prugnolo Gentile, nice raspberry/strawberry nose & flavors, with a hard candy sweetness, the young slightly oaked fruit is voluptuous in the glass. La Ciarliana Rosso di Montepulciano 2011 $18 80% Prugnolo Gentile, 10% Canaiolo, 10% Merlot. Aged in only stainless steel, the fruit shines with some licorice spiciness. A surprising complexity from young vines. 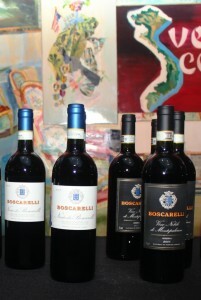 Boscarelli Vino Nobile di Montepulciano, Nocio dei Boscarelli 2009 $75 100% Prugnolo Gentile. A single vineyard wine named for the ancient walnut tree that grew there. Pretty neat stuff, dark fruit, noticeable oak from Allier & Slovenian barrels, tannins are chewy, needed a little air to open up. Montemercurio Vino Nobile di Montepulciano Messaggero 2007 $30 95% Prugnolo Gentile, 10% Canaiolo. Raspberry jam, Jolly Rancher, light tannins, licorice on the finish ready to drink. Montemercurio Vino di Montepulciano Damo 2007 $65 80% Prugnolo Gentile, 20% Canaiolo, Mammolo, Colorino & Barbera. “Damo” is the patriarch who planted the first vines. Earth, dirt, leather wood, easy drinking, nice acidity, light silky tannins. Daviddi Vino Nobile di Montepulciano 2007 $25 90% Prugnolo Gentile, 5% Mammolo, 5% Canaiolo. Gorgeous nose, raspberry floral, lilac, slightly closed, teeth cleaning tannins, needs time or decanting to open up. Daviddi Vino Nobile di Montepulciano Riserva 1997 $30 90% Prugnolo Gentile, 5% Mammolo, 5% Canaiolo. 1st off, a steal at even close to this price. Leather, spice, dried cherry dirt, a little stinky, subtle tannins. 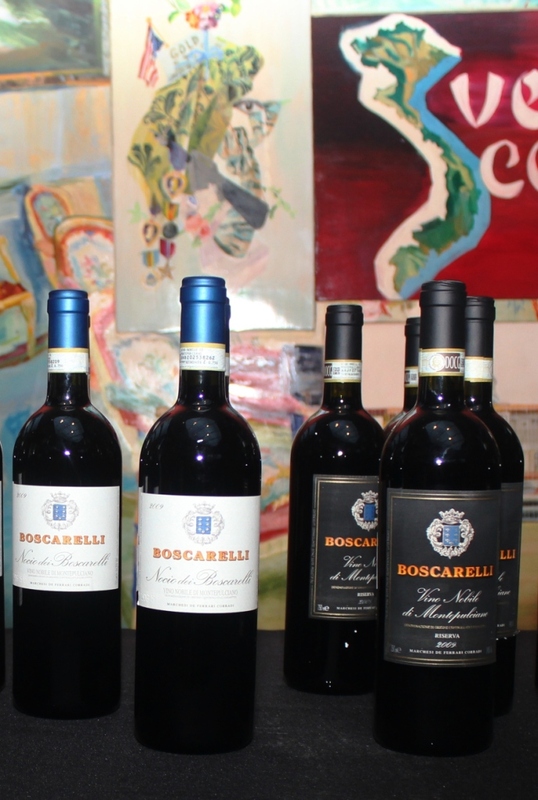 This is what the wines of Montepulciano are all about. La Braccesca Vino Nobile di Montepulciano Riserva Santa Pia 2007 $40 100% Prugnolo Gentile. Another gem from the Antinori family. Brooding deep dark cherry, leather, spicy, subtle tannins make this ready to drink, lovely wine, awesome price! La Braccesca Vino Nobile di Montepulciano Riserva Santa Pia 2004 $40 100% Prugnolo Gentile What a treat! Plum earth, leather stinky, great purple red color, especially for an ’04. Ready to drink, buy all you can find!. Vecchia Cantina /Redi Vino Nobile di Montepulciano Riserva Briareo 2007 $25 90% Prugnolo Gentile, 10% Canaiolo. The Redi line is their single vineyard wines & the Briareo is absolutely stunning. Rose petals, almost creamy in texture, with plum, cherry, spice & a little pipe tobacco thrown in. Light tannins make this a ready to drink wine if you can find it. This is consistently good in any vintage & my favorite wine of the evening. 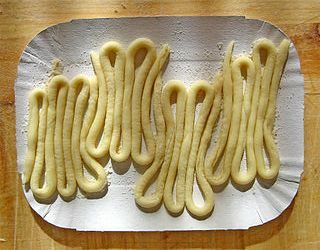 © 2019 Anthony's Wine Blog and WineLog.net. All Rights Reserved.